Huzzah Kevin! About time somebody in this field took a stand for civility. Let's hope we can have interesting discussions, w/o name calling, from all points of view here. I expect it was mention of "The Ant People" in the previous thread that was the last straw...! Excellent decision and long overdue. Two thumbs up. Will make for better reading too. I'm just a little confused about your statement that your blog was/is meant to be as expansive as the paranormal, when I think the main debate and interest is about the origins of UFO's. I realize you control the debate and topics totally, since you post the topics and rarely allow someone else to post a topic. What other interests do you have in the paranormal beyond UFO's? Btw, you have allowed Anthony/Tony Bragalia to post here making topic post(s), rather than as a commenter to a topic post. Many people have suggested he does not exist in the sense of being a UFO expert [beyond the mummy slides?] that is also publicly known beyond posting online. Is he known at UFO conferences or public appearances under that name, or is this someone unknown beyond posting online using an alias? What do you know about this person's legitimacy to have given him standing to post topics here? Just curious what your reasoning was. Btw, I have no agenda about this, but I've read elsewhere some people question what this person is all about -real person or alter ego or other questionable motives??? I share your views on this. However there are borderline topics between obvious nonsense and genuine science. I could list loads of them but you would probably castigate me for mentioning them at all. Have a look at Patrick Moore's book "Can You Speak Venusian" and see all the topics that have popped up over the years (or centuries), starting with the flat-earthers. Another source is Martin Gardner's "Fads and Fallacies in the name of Science". And precisely where, in the spectrum of all these science-related topics, do you think Roswell (as an ET event) stands? You would probably place it quite high on the list. I would not. That is the main problem with blogs such as this. Re Tony Bragalia, yes you are right. But who are you? And who is Isaac Koi, another mysterious person who uses an alias? Some people just don't like their real names made public, do they? I completely stand by your decision, Kevin. It is your blog. I come here to view what you are working on, whatever the topic. I enjoy reading your point of view, and the presentation of your views and work in a professional manner. It is your right to demand a level of professionalism and respect. Especially because you hold yourself to those expectations. We have been imposing similar expectations, and have been less tolerant of disrespectful name calling and vulgar outbursts. I think we need to do this in order to take back control of these internet conversations. The only alternative is turning off comments altogether, which I often consider, and many news outlets have begun doing. I believe in free speech, and value feedback, but I refuse to provide a platform for the hateful and disrespectful voices that serve no productive purpose. What a welcome and (for me) timely announcement! I had just unsubscribed (yesterday) to several blogs/websites that were either so uncivil as to render them nearly unreadable, or provoked so much eye-rolling for me that I thought my mother would be proven right and they would get stuck in that position for the rest of my days! I am so glad that somebody is finally setting some boundaries for discourse on paranormal/UFO subjects. I get so tired of reading narratives of nightmares/sleep paralysis misinterpreted as alien abductions, outlandish and rambling conspiracy tales, outright lies/hoaxes about...well....everything under the sun, and treatises that attempt to exploit the average person's lack of knowledge about physics (which includes me, by the way) to promote pseudoscience. Or something I particularly loathe: reading things written by "researchers" who have no understanding of the scientific method, and who express contempt of anyone with a degree or training in a scientific field. That usually is accompanied by personal attacks. All these things, and more, are why so many people (like me) are reluctant to even comment on sites anymore. It's hard enough just keeping up with the "who's who in Ufology" and the history of the field, without also having to wade through unnecessary stuff like the things you mentioned.. I expect to be reading your blog a lot more often now, and applaud your stance. "Some people just don't like their real names made public, do they?" ...I applaud "cda"'s righteous indignation! ...I mean, WHERE would American literature be without honest creators such as Mark Twain???? I predict that such theorists will be unable to suppress their obtuseness. > Patrick Moore's book "Can You Speak Venusian"
A very good book. The first edition is at archive.org. A slightly modified second edition is online inexpensively. cda wrote: Re Tony Bragalia, yes you are right. 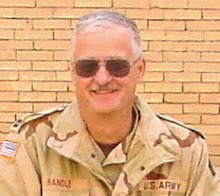 My dear sir, Kevin Randle previously announced on this very blog that Tony Bragalia (AJB) was joining the Roswell Dream Team, correct? Later, Kevin Randle posted a number of passionate written pieces by selfsame AJB, supporting/defending his pertinent UFO-related hypotheses, correct? In the U.S.A., one of it's original founding documents guarantees something commonly referred to as "Freedom of Speech"
AJB's real surname is Bragaglia (http://www.trademarkia.com/solarderm-78623310.html) (http://ufos.homestead.com/bragalia.pdf} , which in your worldview would require Kevin Randle to delete his own blog, correct? Bragaglia's thoughts/statements are protected in the U.S.A. by it's founding documents. As a relatively new to this blog (arrived 3 months ago) I’ll share a few observations I’ve had and some suggestions for “open mindedness”. 1) Kevin’s new rules make sense – as stated before, as a newcomer my first experience was to be pummeled by both “believer” and “opponent” right out of the gates. While I don’t mind the criticism or personal attacks, what I do mind is having to debate a mysterious phenomenon with people who themselves are largely anonymous hiding behind fictitious names or acronyms. It’s hard to take any outright criticism with any serious thought when people on this blog fear revealing their names but seemingly exhibit an odd sense of right that what they criticize publically can be said without any accountability. Real science doesn’t work that way. SUGGESTION: Update your blog accounts with REAL information about yourself, or use REAL NAMES when conveying your opinions. In fact, Kevin should make that one of the new rules. 2) Although many people here post on other blogs, I find on Kevin’s those contributing are largely and exclusively polarized into two camps. This offers no room for discussion and only opportunity for heated exchanges. Again, it’s not the heat that bothers me, it’s the fact that what people post is either “for ET” or “against ET” without any real exploration of the issue, or any level of open-mindedness to the multiple possibilities for explanation. SUGGESTION: Be tolerant of other hypothesizes that remain mainstream despite your conviction that your opinion is always and absolutely the right and only one. a) ET visitors from distant stars or galaxies. b) ET visitors from within our own planetary system (whether indigenous to one of our other planets, or transplanted from another star system to one). c) Inter-dimensional entities more akin to that found in religious explanations and texts. d) Time traveling future humans. e) An indigenous and unknown race of intelligent beings from our own planet, or one transplanted and colonized here. f) Exotic technology already developed by government superpowers that remains hidden in a deep black world controlled by free world partnerships between military and corporate organizations. Any focus on future cases or discussion should take into account one or more of these theses. For all we know, the entire phenomenon may be due to one or more of the explanations listed – all occurring simultaneously. I should offer one more hypothesis to add to the others above, and that being a hitherto unknown random series of natural phenomenon yet to be discovered. I'm not sure why Tony Bragalia has again become a topic of conversation. He is a real person, had investigated a number of UFO cases, and had provided commentary on those cases in a variety of forums including this one. I have not published everything he has submitted (which, BTW, also suggests that anyone can submit an article or posting which I may or may not publish) because I thought the rhetoric was over the top. This discussion is fairly innocent, but I see no real point to it. There are a number of people who use aliases here. I know who some are. There is no real way to police this because anyone can set up an email account, supply a fake bio, and have at it. Kurt Peters, for example, is obvious because we know that the "original" Kurt Peters was Karl Pflock. So, as long as the postings are cordial, relevant and interesting, I have no problem with that. I will note that the US Constitution provides for free speech but that doesn't mean that there are not consequences for saying any damn thing you please. Donald Trump just said some things that he might believe to be true and he has the right to say them, but then we have the right not to listen. If others are offended by what he says, they have the right not to participate in various ventures with him... I guess that means that free speech isn't exactly free but then you can say whatever you want. There just might be consequences. Before now, I probably should have noted in the Coyne helicopter case, I can envision a circumstance in which the helicopter would have been in a climb without the intervention of a UFO. I had meant to do that, just hadn't gotten around to it. It all has to do with the flight dynamics, weather, and wind conditions which might have caused extreme lift. It's not very likely, but it is a possibility. Anyway, the point is this. As long as the comment is relevant, cordial and somewhat interesting, we all have no problems. Get nasty or silly and the comment is gone. Use a fake name but follow the rules and we will get along... use your real name, and we'll all be happier. Yes that seems the only possibility. Our distant cousins. creatures five to thirty million years their senior, once they find out. This is bound to happen at some time in the near future. Citizens (aka humans) are not informed regarding the UFO/Alien situation, by their governments because of our probable reactions: anger, panic and depression. We are being visited; but it's a puzzle we may not want to solve. Kevin, just wondering if 'nasty' includes condescending? Someone on this blog has this tone in many of his/her comments, but I won't mention who that is. Makes me hesitant to post stuff on here. Sorry, just making an observation. I agree with your goal though and I've learned a lot from you. Thanks for that! I would say, "Yes." Of course, I have been accused of being condescending when I haven't meant that at all. Sometimes wording offends, but I'm not always aware of that. So, yes, but I just might miss it. The "indigenous" hypothesis, to me, is simply that - a hypothesis. I nearly mention since some sitings clearly have a "terrestrial" aspect to their behavior or momentary point of origin. The so called "messages" that some people claim they have received from "aliens" seem to directly contradict this theory however. But no one has ever proved that reported ET messages have any basis in truth, as they might easily be a lie, if such communication even exists. While I do know humans have created deep underground facilities, I think the ocean floor is more a probable senario for habitation but obviously it remains currently unprovable. One of the tenants of our democracy is anonymous 'free' speech (that which is protected by the 1st Amendment). None of us are really anonymous here, or anywhere. I'm registered on my Google account and this is a Google blog site. Frankly, I'd be suspicious of anyone who felt the need to Tor/VPN on this site. What's the point? Trolls seldom have anything worthwhile to add. So here's to not having to read any more snarky comments...and no more warnings. KDR wrote: "I'm not sure why Tony Bragalia has again become a topic of conversation. He is a real person, had investigated a number of UFO cases, and had provided commentary on those cases in a variety of forums including this one. I have not published everything he has submitted (which, BTW, also suggests that anyone can submit an article or posting which I may or may not publish) because I thought the rhetoric was over the top. This discussion is fairly innocent, but I see no real point to it." Hi Kevin, I'm curious about him for the following reasons: Because he was such a central and outspoken player at critical points along this slide fiasco. He really drew-in a lot of attention. Also, because someone very knowledgeable about the Alien Autopsy thinks he is an invention, someone's sock puppet, that has been used to help create this fraud too. The person that suggested that possibility of the sock puppet or persona being used for such manipulative and devious purposes is fairly well known within the UFO community, and he uses his real name too. This person really thinks it's been a planned fraud, similar to the Alien Autopsy, that's been running along for years in the making. In fact, he thinks with certainty that some of the same people are involved from the Alien Autopsy too! I think this crash and burn will last much longer than we might imagine considering many of the central players are moving right along with more books and appearances, etc. as if nothing significant happened. I can think of a few ways Dew can still produce a documentary about all of this and make fools and/or comedy out of a lot of people involved. Was Dew someone's puppet, or was he the puppeteer with his silent partner(s)? On another note, I have learned from a reliable source that Don and Tom did have the high resolution TIFF files at least recently. They really have some valuable evidence with these TIFF files, because of what it can tell us about willful fraud being committed by at least Dew potentially. I'm sure you can figure-out why that is. Suddenly the argument of pro-UFO to anti-UFO has degenerated across the net into what I call a shame spiral. We are no longer trying to solve the problem of the phenomena, but instead mired in an acrimonious debate about how people are talking about it. You might recognize this bizarre turn in the conversation as an age-old form of internet rhetoric called tone policing. And the culprits of this are some the posters. By the way, Kevin Randle is the proprietor of this blog. It is completely at his discretion and within his purview to moderate his blog as he deems appropriate. Nobody should expect some fictitious inalienable right to allow one to come into a private site with an expectation that whatever they post, no matter how egregious, must not be deleted by the proprietor. Tony Stark wrote: "VERY similar to the censorship that currently occurs at "Rich Reynolds" blog with massive deletions of whole blog-threads!)" How can we be civil if Ed Gehrman seems intent on turning every subject into a discussion about his stultaj monotreme theory? "Citizens (aka humans) are not informed regarding the UFO/Alien situation, by their governments because of our probable reactions: anger, panic and depression." I know what I could say in response, but wont. You probably know what you could say but wont. The governments (which ones?) know NOTHING about any "UFO/alien situation", and they are not the least concerned by our "probable reactions" either. For anyone who understands security clearances, special access programs, and TS/SI information I think there is a good probability that certain information can be protected. "How can we be civil if Ed Gehrman seems intent on turning every subject into a discussion about his stultaj monotreme theory". Would the citizens of the world be more upset by knowing that our visitors (who seem to be much more advanced and are able to abduct us at will) are from another star system or an earth evolved, advanced civilization. Would knowledge that they were our neighbors make you feel threatened or insecure? Or stultaj because you didn't realize this reality sooner. I'm baffled with your confidence that our government, let alone the US government, would be so anxious to disclose information about ET contact, practically as soon as they know about it themselves. Considering the lies that have been told us that have recently come to light(particularly through the "Blair years")...and considering the absolute lock-down on the Chilcot Report, I find your blinding faith that the government would have told us all about ET visitation (if it has happened) to be naive to the point of recklessly naive. Kevin, Have you ever looked into the claims of the filming of a missie launch at Vandenburg AFB by a LT Jacobs and verified by his CO, at the time MAJ Mansmann. A very long time ago I received some info on this by Lee Graham which included 201 file info and even an OER on Jacobs. What I found stunning in the OER is the fact that Jacobs set up a tracking station at Point Arguilla. A book from 1969,"Aliens In The Skies" mentions that a film of this incident was capured from Port Arguilla! Something that neither Jacobs nor Mansmann appeared to be aware of. Here are two seperate unrelated claims of what may be a filming of the same incident from two seperate locations. The credibility of both Jacobs and Mansmann are excellent. I would hope at some point you would open a discussion on this if you were to look into it first. I appreciate your military background as you understand how it operates. Each of us has a particular point of view; some jive with our beliefs, some don't. It's hard not to form opinions about where certain individuals stand on a particular subject, when they often make it abundantly, even uncivilly clear. For example, I often disagree with Ed's comments, but I don't believe I ever jumped on him for them. I will try to limit my statements about others opinions to: "I totally disagree with that point, because...", or even "I totally disagree!" Or just ignore that post. Kevin has made it clear that this is no longer a place for rambunctious verbal jousting. There are many other places for that. Flame wars are tiresome and outmoded anyway. Are you really seriously suggesting that the official discovery of ET visits to earth is on a par with things like the Chilcot Report (probably meaningless to our US friends on this blog) and Tony Blair's various shenanigans over Iraq, etc? I never said any government would inform the public as soon as they knew about ETs; these things take time and lots of study and research by scientists (all of whom would have to be in on the secret) to be verified. Months of work and zillions of papers would have to be produced and kept top secret, and the authorities would have to hope and pray that no other countries experienced ET visits while all this attempted secrecy took place. There is simply no connection between ETs visiting earth (or being discovered in space) and things like terrestrial wars and the lies told to us by various politicians. We have no control over the actions of ETs. None whatever. Well...as we know governments have held things in deep secrecy before and if they have done that in the past they are capable of that now - maybe even to a much larger degree. The Manhattan Project reportedly had 200,000 people working on it, mostly compartmentalized, and involved collaboration between the US, Britain, and Canada, not to mention Soviet spies. Today, those in the government research arena supposedly working on advanced technology report that they are required to sign documents which include a Presidential order that states they must give up their right to due process of the law before engaging in the work. If you wonder why some people do not leak information, it may be this reason alone. They have no rights when it comes to disclosing national secrets, so who would really consider becoming a whistle blower under such circumstances? A recently retired Colonel who oversaw manpower for all of the USAF told me not so long ago that when US Defense and Aerospace contractors came calling for personnel, they took whomever they wanted and those people quote "disappeared" off official record and were simply gone for good and embedded deep into the world of black projects. A recently retired US Army Sergeant Major, three times decorated for bravery in Afghanistan, who served in Recon told me there was an undisclosed Recon unit that used new technology that covered their vehicles in such a way that it made them "cloaked" (i.e. invisible) while stationary and while moving. This is the same advanced "active camouflage" used on large, undisclosed stealth surveillance aircraft often reported as UFO's. So some people know some things, but only a few know the whole story. You have made some valid points, but all these concern terrestrial (in fact internal US) matters, where the authorities can and do exert high control. But what happens if the authorities try and control the actions of unknown quantities like ETs, assuming such exist? news instead of letting another country do so. I know all this is hypothetical, but it does serve as a valid argument in favor of NOT being too secretive about such a discovery, if such a discovery were made. "Hence it might even serve as a matter of national prestige if the US, upon discovering ETs on our planet, got in first with the news instead of letting another country do so." I think that's a valid point to consider - national prestige and "who gets their first" international type competition. I think it could also work the other way too - if you were the first to "discover" saucer technology, specifically alien technology, would you choose to reveal it or hide it? Given that the military generally takes over when anything unknown falls from the sky, I think they may be more inclined to think of the technology as something that can be "weaponized"...or at least explore it further (in secret) to see if you can exploit it BEFORE any other competitive nation can (allies or aggressors). If the technology was advanced, but not valuable for defense, then I suppose you would release it with a lot of fan fair and hoopla that you were "the first" nation to discover ET. But if the technology could be weaponized, then I think you would hide it from everyone (even some in your own military) for fear it might "get out" and be replicated by some other nation. In which case you would keep advancing the science from it to exploit it even further. The one problem I have with the ET theory is the supposed "relationship" some claim they have with worldwide governments. If they are "here" for altruistic, benign, and "helpful" reasons...then why do they choose to work with governments who want to supposedly hide their secret and exploit their technology? If such an alien were to exist, I submit they have their own agenda...and probably not one in our best interest. Of course, its all speculation at this point. Brian, I enjoy your posts. Let me opine that one problem our government may face is what if we are dealing with perhaps hundreds of Alien races, each with their own agenda, some friendly, some selfish. There may be issues involved in all this that we would find difficult to comprehend let alone do anything about. For example, what if some Alien races are telepathic. How would you create a defense against them unless you isolated certain skilled people and made certain they would not come into contact with such aliens. If aliens do exist, our best hope is to work and learn from those who are friendly and hopefully join them in the exploration of the universe. Most humans are curious creatures who want to learn. If Aliens exist I want to understand who they are, what their history is, what they view as being their purpose in the universe is, and for us to find out what our purpose in this universe is. > Today, those in the government research arena supposedly working on advanced technology report that they are required to sign documents which include a Presidential order that states they must give up their right to due process of the law before engaging in the work. This is a remarkably broad and sweeping assertion. I feel I need to challenge it as this allows conspiricists to invent any number of scenarios without providing positive evidence (in fact, the absence of evidence "proves" the secrecy assertion). I am not a lawyer, but reading up relevant case law on the 'net, two things are clear: one must be fully informed of the circumstances when waving due process, and one always has an opportunity to challenge the waiver in court later (that is, due process is never waived in any absolute sense). I don't claim to have proven my point, but I think I have provided enough information to cast doubt that such extreme agreements exist and are enforced. First, Rich Reynolds can do with his blog whatever he feels appropriate because it is his blog. If he decides to delete posts or comments, he's free to do it. I've removed posts myself. I have learned that points I had made were in error so I deleted the posts and replaced them with better information. In one case the comments got so nasty so fast, that I took it down. But we who hosts blogs can do what we please for any reason that we please without providing justification. Second, it seems clear here that some who visit do not subscribe to the extraterrestrial solution offering alternatives. I think that the possibility that thee is another sentient race hidden on our planet is remote but certainly not eliminated. Same for interdimentional beings and time travelers. Some of the more puzzling cases might be resolved by some undefined and rare natural phenomenon. And for some, there isn't much in the way of alternative solutions but they hold that there is no alien visitation. So, while I disagree some some of the postings here, since we're remaining cordial and I haven't had to read about the alien autopsy or other such nonsense, then this is working out... though we seem to have drifted slightly off topic. cda...."Are you really seriously suggesting that the official discovery of ET visits to earth is on a par with things like the Chilcot Report (probably meaningless to our US friends on this blog) and Tony Blair's various shenanigans over Iraq, etc?" YES! And what's more. you're making the point much more succulently than I could have dreamt of! These people lie to us over relatively small things...ie...why the UK participated in regime change in Iraq, (for the record, something I totally endorsed). We might have been lied to for the right reasons...but we were still lied to. cda "I never said any government would inform the public as soon as they knew about ETs"
Time and again on KR's blog, over the years, I've read you saying just that! I don't disagree, but am simply reporting what has been claimed by those working on supposed alien technology. However, cilvilian case law is not quite the same as military case law and regulations - which vary to some degree. Military law is distinct and can be stretched to civil servants. On due process - ask the prisoners at Guantanomo Bay if they have had due process after more than 10 years confinement without trial. Governments can and do create laws that go beyond what is commonly reported in typical case proceedings. I think if people working on highly classified projects (or alien technology) are asked to do this, then it isn't written down in the common manuals outlining standard procedures. There are many executive orders that remain classified - it is said this is one of them. If interested you could read this 100 page DoD document on classification and special access programs for personnel. You will note several times it states "exceptions and waivers" to specific protocols can be granted with higher authority and justification. Brian, you can't seriously compare a government contractor to a so-called "enemy combatant." When the US catches their own people selling government secrets, they put them on trial, not in a cell in Cuba. And you don't mean to imply that contractor are signing waivers that includes the clause "and we will put a bag over your head and waterboard you." Hearsay that seems to have no basis in fact. Those stories about military insiders working with alien tech, you know how they turn out. My reply to Brian Bell answers your latest posting. I have nothing further to add. "...though we seem to have drifted slightly off topic." What topic is under discussion? You have in fact specified only the 'topic' of having "a different perspective on a different perspective". I didn't say "contractors"....I said civil service employees with reference to military jurisdiction. Civil service employees are not "contractors". As far as hearsay goes - there's a lot of that on both sides of the polarized camps. It seems one secondary comment from me and another initial comment from someone else here touched a nerve with Rich Reynolds. He actually posted a topic about it. I know Tony B. posted this at Kevin's blog, which seems to confirm posts get deleted there possibly for arbitrary reasons, but read on. That's not really the reason for this comment. I'm curious about this investigation... Any news known? Thanks. Informed of my concerns about the hacking and theft, Reynolds has vindictively deleted all 50+ articles written over five years by me that have appeared on his blogs." Did anything ever get learned about the hacking? According to Nick Redfern he was hacked too, and he has publicly expressed anger about it. Nick would like some personal skin or prosecution, if possible, but I know he said recently he knows nothing more about the investigation. "...Civil service employees are not "contractors"..."
Neither are they military; they are 'citizens', just like the police, the politicians, judges, and us. Members of the military are subject to military law, non-members, to civil law. How to earn $15,000 or more with one photo and a paper trail leading to the mummy. This is old news, but Jaime Maussan has offered $10,000 dollars to anyone that provides the information that leads to the infamous alien-mummy's body. He did not say the body had to be seen but just proves that it is the actual body 'there' -meaning if buried, then proof it's the one. Maybe pics or video of it that proves it's buried there, or the docs leading back to the museum or location where it was before with a photo from there showing a match. Otherwise, you can still get $5,000 dollars by just providing another photo of it that is good enough to prove the match. Even if it was at some museum he thinks there will be registration documents with at least one photo filed away in an archive for record keeping. So, you might earn $15,000 with that photo and the paper trail that documents where the body is buried. I honestly think if you've got really good information with an excellent photo, then you could easily DOUBLE that price. $30,000 would be the minimum, imo. I believe Maussan already recanted his willingness to pay after the FOIA provided everything he was looking for - but didn't want to see or read. So it was a gimmick offer....not genuine in any respect at all. Why do you think good information plus an excellent photo (of the mummy) would be worth anything at all? Who would pay an amount such as $30,000? What person or institution pays out money to expose fakery? The exception might be if the said mummy was an important part of anthropology or other US history. But is it? Did Maussan indicate _why_ he wants this information? Is this just a lame excuse to 'question' the provenance of the mummy? To say his offer was silly is to be kind, but Blog Rules prevent me from using more appropriate language. Really, I can't take this guy seriously. It's sad; he's not even good for a laugh. No more posts from me on Maussan. albert wrote: "Did Maussan indicate _why_ he wants this information?" He says he is "secure" with his experts to know it can't be human, so he thinks the additional picture(s) and/or "alien" mummified remains or burial location might give him a chance to get a DNA sample or enough "more information" to confirm or not what it really is. The new conspiracy ideas are that the alien is secured somewhere hidden and unavailable by the PTB, OR finding it will have more proof that it can't be human. He's betting any additional pics and documentation will actually somehow help to further prove their case. It might be true that if some museum has/had these mummified remains there will be documentation with pictures still available. Someone that works or worked at the museum will know about the record keeping, and when, where, how the mummified remains were given to tribal nations. I would think even the tribal documentation of the receipt and burial information should still exist. Also, the FBI apparently collected remains from private owners that had mummified remains on public display to do DNA testing and/or to return the remains for burial. IF true, then the FBI should have a lot of documentation. Maybe a lot of that information could be found with FOIA requests. Sure, this is a publicity stunt, but finding the docs and pics and location of the mummified remains is still a worthy cause. A lot of people reading this will live near museums or may know of private collections, so earning some cash [hopefully] and being an investigator may be worthwhile for someone to do. 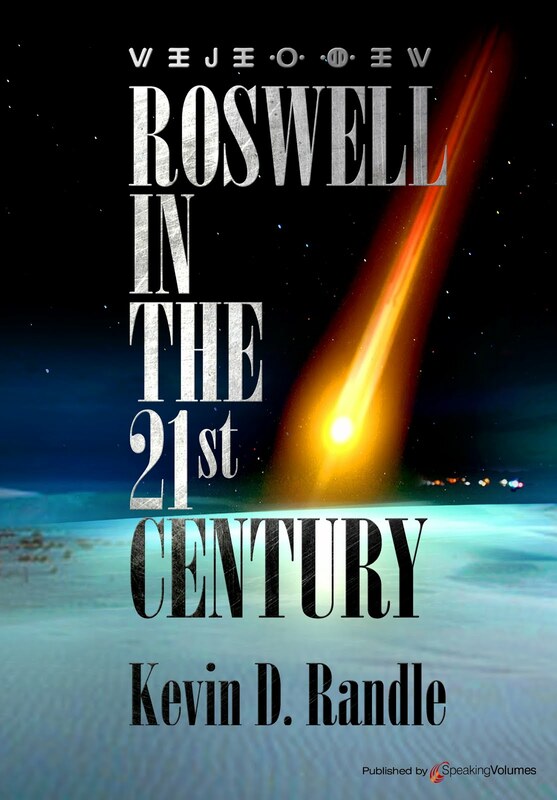 It would put the final nail in the Roswell Slide Show, and that alien myth can be put to rest once and for all. I would personally find it very interesting to know its final resting place and the additional documentation and pictures. Some people that still believe will finally change their minds and realize it's not ET. It makes sense that the FBI might be involved, as Native Americans have their own police, and come under Federal jurisdiction (so does property, such as relics, belonging to NA tribes). As for DNA testing, putting aside the highly unlikely possibility of Maussan paying for it, I don't think it would accomplish anything. Doubtless other 'child mummies' have been tested. If the results were 'non-human', that would be interesting, but if not, that wouldn't eliminate the possibility that the mummy was of ET origin. Anthropologists might be interested, but that's about it. I personally know some folks who will _never_ give up the Not Roswell Slides Alien Theory. Wow, someone already found the photo matches and chain of custody, so only one mystery remains. Exactly where are the mummy remains? This guy deserves the "photo match" cash having already done the work it seems. If the docs already clearly show the records of transference to the last location, then there has to be a record there how it was turned over to the tribal council for burial. So, Shepherd Johnson has really found the chain of custody that has the photo match proof too. But knowing the final resting place would still be very interesting. Chris at the Paracast is relying on tribal contacts to find the final resting place. Shepherd Johnson already did most of the work for everyone, so he deserves the money, imo. Maybe a donation to the caretakers of its final resting place is in order, especially, a huge donation from Jaime Maussan. Shepherd Johnson contacted me on May 12, and the conversation centered on finding documentation on the mummified child's body depicted in the "Roswell Slides." After finding that National Park Service had both documents and photographs, Shepherd decided to file a Freedom of Information Act request for the records. He filed his FOIA May 13, and there's a record of it online. Shepherd Johnson's request for this is on the NPS FOIA log on page 47. There's no listing for another such request. @albert, first, there is NOT ONE of our founding documents that mentions or lauds ANONYMOUS speech. None, not one, not specifically, not by synonym, not one. 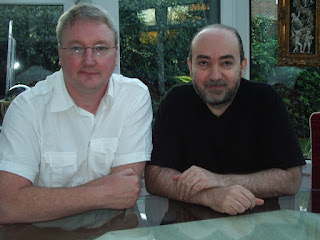 Kevin has decided to tolerate ACs who speak with authority from the shadows and that is his right as this is his blog. I can't help but spot the irony of one of these ACs challenging the integrity, courage or veracity of others. Specific example in this thread, an AC challenging AJB. I'm just saying... For myself, I have no problem owning my input/feedback. @Brian, your three points were right on target and well said. What chaps me about recent blog discussions? 1) The discussion has been too polarized and I see name-calling as one of the primary catalysts. While both sides engage, one is clearly leading the mudslinging and the "he started it" excuse didn't work for me on the playground 45 years ago, so I am glad that Kevin has decided it doesn't work here. 2) One poster intimated that it is more morally courageous to leap to an unsupported mundane explanation than to say "I don't know" as the available information is not conclusive. I get so tired of folks blaming poor Okham for their leaps of mundane fantasy. For the record, Okham (also referred to as Occam) was a follower of logic, who, in an attempt to provide a methodology for evaluating positions recommended favoring the position that required the fewest assumptions. Wouldn't it be something if skeptics actually followed this methodology rather than bastardizing it to justify the most mundane (although unsupported) explanation. But I digress... It is also popular to quote Carl Sagan's statement that "Extraordinary claims require extraordinary evidence". Carl is a bright guy, but I am pretty sure he didn't carry this little quip down off a mountain written on stone tablets. This "statement" represents his "opinion", so while Carl is certainly a credible witness, this does not relieve the skeptics of supporting their position with evidence. I am not trying to start a fight, just trying to encourage a fact-based, rather than a knee-jerk phrase based discussion. I think there are some smart people here and I would like the watch the debate. 3) I similarly get tired of folks who think if they state their position often enough, no matter how ludicrous, it gains credibility. Fortunately, Kevin and my fellow Iowan moved on and stopped with the conspiratorial silliness, but I would like to see a "one and done" approach with the Lizard men, etc., tin foil hat wearing conspiracist silliness as I think it demeans the entire discussion. I do agree with the point, that regardless of who submits the posts, if Kevin choses to post it here, it implies his endorsement. I strongly suggest no more posts from AJB or any similarly questionable sources.It is so easy for someone to start or post to their own blog, there is no reason to allow them to use this venue in lieu of their own. Like the AC discussion, "OWN YOUR INPUT/FEEDBACK". "AC" is "anonymous commenter", is that right? And if/since people sign in to Google accounts or other to post here, how exactly does that make them anonymous? Sorry to seem so dense but I have problems keeping up sometimes when acronyms are used that I am not famiiar with, or there are a lot of references to past discussions and so on. As a new person, it can kind of make my head spin. Also, what constitutes an "authority" in terms of posting in this comments section? I see people referencing this but I don't know what they mean by it. It's sometimes difficult to tell if it's written tongue-in-cheek or not. That's all, really - I do have opinions but am now sufficiently intimidated, so I probably won't post much, if at all. Just would like to understand the terms you are using. Any clarity would be appreciated. I do agree with you. Overuse of acronyms is tiresome. There are of course some that are known to everyone but others that are only known to a select few, but we are stuck with them on these blogs. AC stands for 'alternating current' from my schooldays, but not in the internet world, it seems. I assumed that it meant 'anonymous contributor' which is close to your own deduction. Even such things as AFAIK (as far as I know) and BTW (by the way) seem unnecessary, but I have got used to them now. AJB stands for Anthony J. Bragalia - a person who contributes a lot, or who DID contribute a lot, to this and other blogs. He seems to have gone quiet of late, due to his exposure as a bit of a dupe on the Roswell slides affair. He is, or maybe was, someone who can rightly be referred to as 'besotted with Roswell'. Thank you, cda, for your reply! In my world, AC also stands for "air conditioning" heh. AJB...ok, got it. Hard to know all the players without a scorecard, it seems. 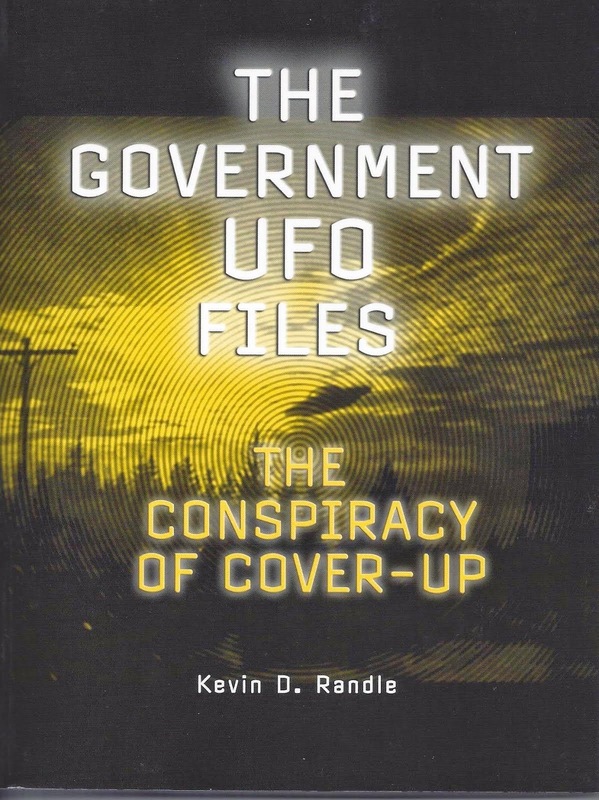 My UFO-ish knowledge comes mostly from books I read pre-2000, and, although it seems a lot of the same people are still writing and investigating, there are more of whom I have never heard. Getting back up to speed is going to perhaps be more effort than I would like, but I'll give it a shot. Again, thanks for the explanation, cda. Again, I can't help but see the paradox of two ACs discussing the meaning of AC. If you check the wikipedia page for Slashdot under Peer Moderation you will see my definition. I echo the ACs kudos to Kevin. Other than this thread, I don't plan to engage with ACs. If they lack the courage to own their input, I don't deem them worthy of dialogue. What's being referred to here is that posters to this blog commonly have no real name associated with their postings. They have fictitious names or use acronyms that may or may not be authentic. Basically they are hiding. Example: If I click on "muse" I get a blank profile. If you click on mine or Rusty's it goes to a Google page with a profile. We are people using our real identities. Like Rusty, I feel those who don't want to share their real identities lose something in their credibility - also their arguments seem weaker no matter how loud or nasty they get. It's easy to hide behind a fake name because you don't need to be accountable for your attacks, slanders, or aggressive words.